Computer scientist who developed a compiler system for computer programs and conceptualized the idea of machine-independent programming languages. She was one of the first programmers of the Harvard Mark I computer, which was finished in 1944. She attended Vassar College, where she received a leave of absence from before being sworn into the United States Navy Reserve during World War II. 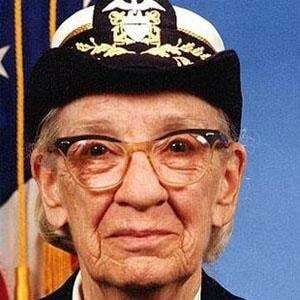 She is credited with popularizing the term "debugging" for fixing computer glitches and the U.S. Navy destroyer USS Hopper (DDG-70) is named for her. She married NYU professor Vincent Foster Hopper in 1930. She was influenced by Barbara McClintock.